Express Buttons are sold in sets of three (3). An additional button can be added using the Additional Buttons drop down menu located above. Express Buttons can be made with one (1) inlay per set. 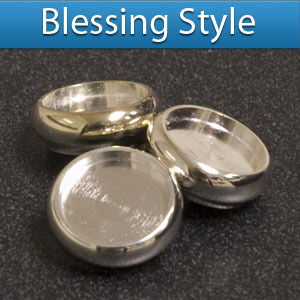 Blessing style buttons are designed to fit most models. Please Note: Each Express Button is made to order. Even though the item may be listed In Stock, please allow 2-3 weeks for our artisans to craft your button.